We provide full Residential, Commercial, and Automotive locksmithing services to Edmonton and the surrounding areas. Call Fineline Locksmithing for honest, friendly, and professional service! Your reliable locksmith service provider! Your Edmonton locksmith search ends here! Whenever you are in trouble, Fineline Locksmithing prioritizes emergency situations! With years of experience and technical expertise in the locksmith business in Edmonton, we promise to take care of all your lock installations, repair and maintenance troubles without hassle and in an appropriate time frame. Professionalism and honesty are two things that define Fineline Locksmithing. Whether you are in need of residential, commercial, multi-unit or automotive locksmithing services, you will find we offer an incredibly wide spectrum services. In fact, we are pleased to offer one of the best equipped mobile units in the area! Our Ram Promaster van is equipped with some of the finest names in equipment and technology (Silca key machines from Italy, Instacode software from New Zealand, Advanced Diagnostics programming equipment from the USA). 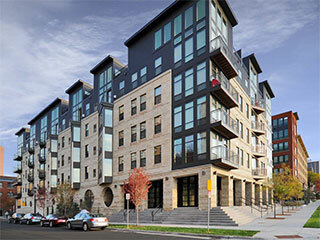 Let our investment become your advantage! We are proud to have more than twelve years of experience locksmithing in the Edmonton area. Over the years we have worked hand in hand with clients to help them stay safe and improve all sorts of security and access troubles. We are a proud part of the Professional Locksmiths Association of Alberta and certified by the Alberta Government Solicitor General to offer locksmithing services. 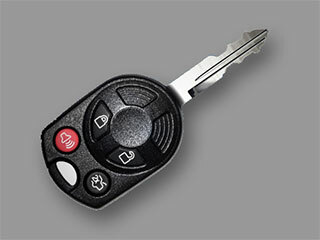 Our locksmith service vehicle is equipped with the latest electronic tools and computerized equipment. So, you can be sure that we will have the proper tools to get your job done, even when no one else can. Often we hear stories of other companies quoting one thing and charging something totally different. It is one of the most frequent complaints on Better Business Bureau and other review sites. Quoting a job unseen always involves some variability, but at Fineline Locksmithing we champion fair and honest business practices! We accept payments by MasterCard, Visa & Debit. 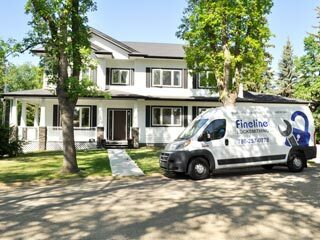 Fineline Locksmithing is part of the PLAA – Professional Locksmiths Association of Alberta and is committed to operate as a honourable business. Also, we are certified journeyman locksmiths by Alberta Government, Edmonton. To check legitimate locksmith businesses, go to the Alberta Solicitor General website. Every legitimate Alberta locksmith in Edmonton are listed there. LOOKING FOR A LOCKSMITH IN EDMONTON AND SURROUNDING AREAS? Edmonton, Spruce Grove, Stony Plain, Sherwood Park, Fort Saskatchewan, Beaumont, Leduc, Nisku, and St. Albert. We are happy to serve customers, and we put in a lot of effort to make them happy by providing high-quality locksmith services and hardware in the Edmonton area. Your customer review and feedback is important to us because it will help develop our business. Please take a time to write a review for us or check previous customer reviews on our Google business -page.